There are usually discounts available to senior citizens and small children for independent swim. 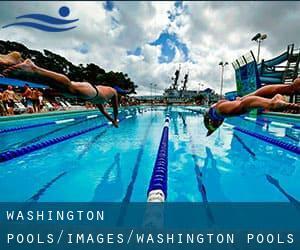 Find out by contacting your nearest pool among these Washington Pools. If you are looking for Washington Pools, it's beneficial to know quite a few of them belong to gyms or sports centers which also offer lessons. Get informed by calling the premises. Please have a look at the pools swimmers like you have reported near Washington. Please, report any Washington Pool not listed here. Traveling to Washington? This is the right spot on the internet to find places to swim in Washington. Each day you are not swimming you're losing precious time in improving your skills to be a far better swimmer! No a lot more excuses! 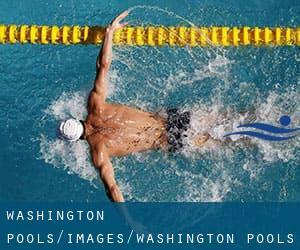 Find your nearest Washington Pool and tell us how it went. Do you realize of any Pools in Spain that should be listed here? Contact us!. Swimia.com needs your feedback on Aquagym in Washington to ensure all the information about swimming in Washington is valid. There are many alternative treatments to chlorination, with great benefits that ensure superior water quality in the pool. 1 possibility is the mineralizer, which purifies water naturally and significantly decreases the chemical substances applied and maintenance time. Try Chlorine Free of charge pools in Washington. If you're tired of having eyes and irritated skin, finding a saltwater pool in Washington could be the solution. You should know that the level of salt from these pools is well below the degree of salt from sea water, particularly they're talking about a tenth or less. One of the advantages of outdoor swimming in Washington would be the possibility to sunbathe in the course of the summer time season. Taking it with extra care, sunbathing is healthy given that introduces Vitamin D into the body, so the best selection seems to be switching between indoor and outdoor pools based on the season. Enjoy the best indoor pools in Washington and don't worry about the weather. These facilities are open all seasons and you can enjoy a swim at the same temperature every day of the year. There are several reasons why you'll want to choose a heated swimming pool in Washington. One of the most very important one relies on the importance of keeping the body temperature stable. If the water is too cold, your body will try to warm it up and you will shed strength to swim properly. Whereas Everett is among the six most populous cities in Washington with almost 103.019 residents, you shouldn't miss that one if you're going to Washington. Let us tell you a secret to switch off though you are in Seattle: just decide on a Swimming Pool in Seattle and plunge into the water! There's no additional effective approach. Swimming is a excellent concept to keep your body active in the course of your visit to Tacoma (Washington), or perhaps for anyone who is a local. Swimia helps you to discover your closest Pool in Tacoma. Holding an estimated population of 161.791, Vancouver is one of the most important cities in Washington. Check all the Swimming Pool in Vancouver and its surrounding area. It's difficult to visit Washington without dropping by Spokane (with 208.916 residents). Currently Swimia is showing you all the Swimming Pool in Spokane and the closest pools situated in its vicinity. Without a shadow of a doubt, swimming in Bellevue could be the finest way to unwind after function. Take a couple of minutes to browse Swimia's catalog to find a Pool in Bellevue. Updated on 2019 1602 S. Martin Luther King Jr. Way (South K St.) , Tacoma , WA , USA (Postal Code: 98405). Among all the activities offered by the center, for anyone who is keen on swimming you will enjoy 25 meters x 45 feet, 6 lanes, Indoors. Just in case you want to contact this Swimming Pool before dropping by, we only know the phone number. Updated on 2019 510 Franklin St. S.E. , Olympia , WA , USA (Postal Code: 98501). This sports center offers 20 yards x 20 feet, 2-3 lanes, Indoors. For this Swimming Pool, only phone number is number here. Updated on 2019 5501 S. Regal St. , Spokane , WA , USA (Postal Code: 99223). Swimmers like you reported 20 yards, Indoors. Phone number and e-mail address are number for this Swimming Pool. Updated on 2019 225 E. 5th , Port Angeles , WA , USA (Postal Code: 98362). Swimmers like you reported 25 yards x 42 feet, Indoors. Phone number and email address are number for this Swimming Pool. Updated on 2019 1881 N.E. Hostmark St. , Poulsbo , WA , USA (Postal Code: 98370). This sports center offers 25 yards x 25 yards, 6 x 6 lanes, Indoors. For this Pool, only phone number is number here. Updated on 2019 9715 Lakewood Drive Southwest , Lakewood , WA , USA (Postal Code: 98499). Swimmers like you reported 25 meters, 8 lanes, Indoors. Unfortunately we do not have the e-mail address of this Pool, but we can give you the phone number. Updated on 2019 509 West Pine Street , Yakima , WA , USA (Postal Code: 98902). This sports center offers 25 yards, 6 lanes, Indoors. For this Swimming Pool, only phone number is number here. Updated on 2019 2930 - 228th Avenue Southeast , Sammamish , WA , USA (Postal Code: 98075). Among all of the activities offered by the center, if you are considering swimming you will enjoy 25 yards, Indoors. Just in case you want to contact this Swimming Pool before dropping by, we only know the phone number. Updated on 2019 Pike/Pine, Seattle, WA, USA. Among all the activities offered by the center, if you are considering swimming you might delight in 25 meters, 5 lanes, Indoors. Updated on 2019 18900 - 44th Ave. W. , Lynnwood , WA , USA (Postal Code: 98036). Swimmers like you reported 25 yards x 44 feet, 6 lanes, 3.5f - 12 feet depth, Indoor/Outdoor. Unfortunately we do not have the email address of this Swimming Pool, but we can provide you with the phone number. Updated on 2019 2115 NW Poplar Way , Issaquah , WA , USA (Postal Code: 98072). This sports center gives 25 yards, 4 lanes, 4 feet depth, Indoors. Contact facts for this Pool for instance phone number and email address are number. Updated on 2019 4515 - 36th Ave. S.W. , West Seattle , Seattle , WA , USA (Postal Code: 98126). Among all of the activities offered by the center, for anyone who is interested in swimming you will enjoy 25 yards x 36 feet, 6 lanes, Indoors. Just in case you want to contact this Swimming Pool before dropping by, we only know the phone number. Updated on 2019 7956 178th Pl. N.E. , Redmond , WA , USA (Postal Code: 98052). Among all the activities offered by the center, if you are keen on swimming you might take pleasure in 25 yards, 5 lanes, Salt Water, Non-Chlorine Sanitized, Indoors. If you'll want to contact this Swimming Pool, email address and phone number are both number. Updated on 2019 1009 E. McLoughlin Blvd. , Vancouver , WA , USA (Postal Code: 98663). Swimmers like you reported 25 yards x 37.5 feet, 6 lanes, Indoors. Unfortunately we do not have the email address of this Swimming Pool, but we can give you the phone number.